A perfect first day of the trip! 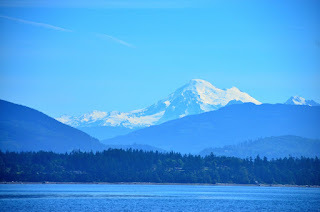 I was up early for the drive to Anacortes, where I’d set out for Vancouver. After a bit of last minute shopping, I left Twin Bridges about 9:45 am. Mt. Baker is always impressive, at least when it can be seen. I took a direct route up the Strait of Georgia, a route I’d previously avoided. This route offers few anchorages if the weather deteriorates. 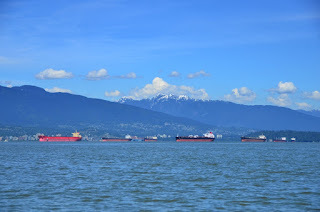 Vessels must stay well offshore, seemingly in the middle of the Strait of Georgia, because the Fraser River deposits silt in a huge area off the mainland B.C. side, creating dangerously shallow water. Further complicating matters is the outflowing current from the Fraser River, which sometimes opposes wind, creating unpleasant conditions. None of this mattered today. With no wind and sunny skies, it was a perfect day for cruising up the Strait of Georgia. Glassy describes the sea conditions well. Couldn't ask for better weather! About three hours out of Vancouver I called the NEXUS phone number to clear into Canada. I’d only acquired my NEXUS card a few months ago and hadn’t yet used it, but all went smoothly. I was given a clearance number over the phone and instructed to wait at the boat for 20 minutes after I arrived. If no Customs officer came in that time, I was free to go. No Customs officer ever showed up. 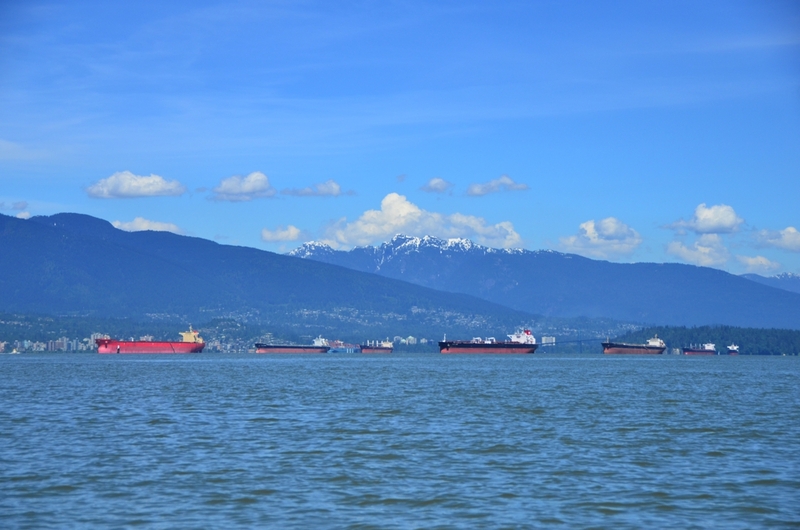 Commercial ships wait to be loaded in English Bay. 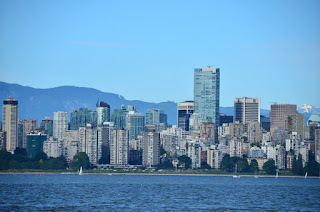 Vancouver is beautiful from the water. My first order of business was acquiring a Canadian SIM card for my phone. Roaming with my U.S. phone is prohibitively expensive. Thankfully, Verizon sells iPhones unlocked, so I could easily remove the Verizon SIM card and insert another of my choice. I opted for Koodo, a Telus subsidiary that specializes in non-contract cell phone plans. For $60 I got 1gb of data and 100 minutes of calling. I can top this up with additional minutes and data as needed. Much cheaper than roaming! I had a few issues with setting up the account, but the guy at the Koodo store got them all sorted out (had to use a fake Canadian address since their system wouldn't take my U.S. address). A childhood neighbor and friend of mine now lives in Vancouver, and I hadn’t seen her for awhile. We met for drinks and to catch up, which was great fun. Her families home, it turned out, is just a block away from the marina I stayed in. 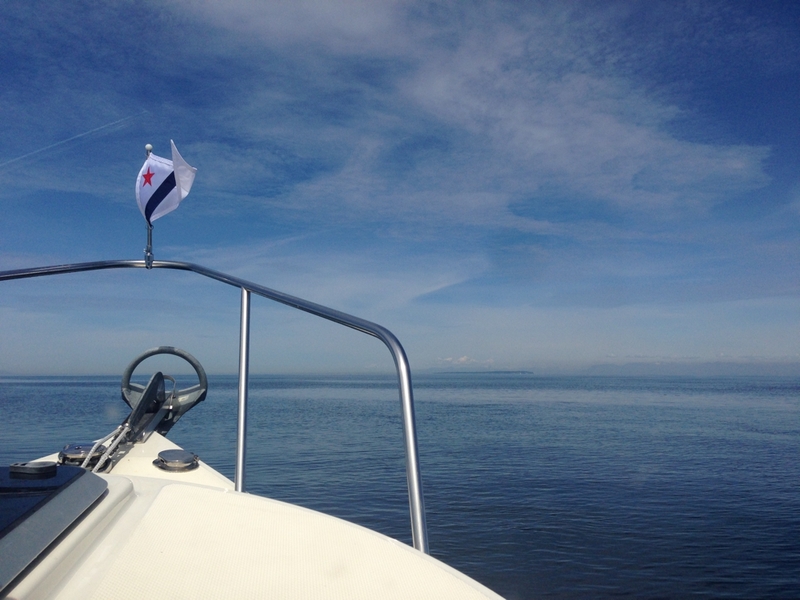 All in all, a perfect first day on the water. 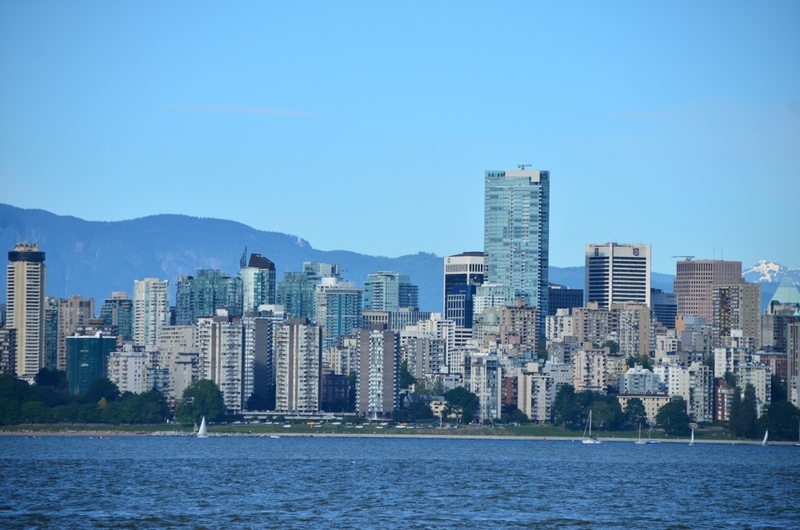 Vancouver is a beautiful city and it’s nice to spend a bit of time here. 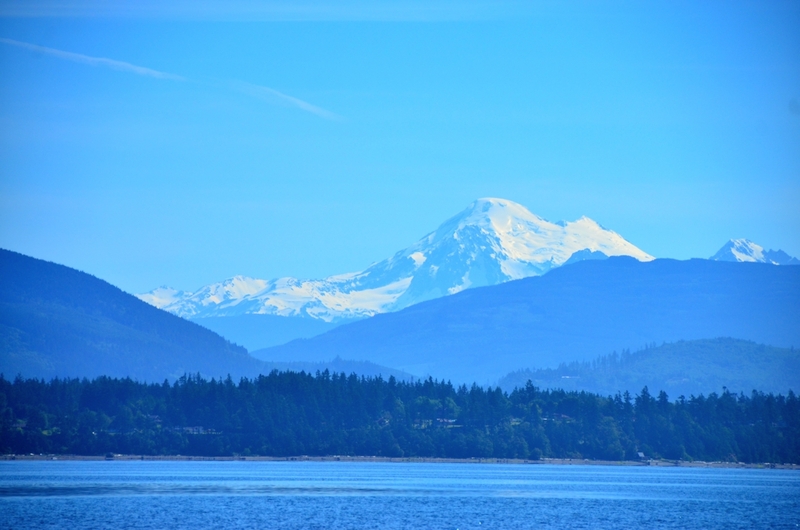 Tomorrow I’ll wander around Howe Sound a bit (it’s supposed to be windy on the Strait).